After being cancelled in 2013 following its second season entitled Young Justice: Invasion, Young Justice is finally making its comeback through the use of DC Entertainment’s upcoming DC Universe streaming service. 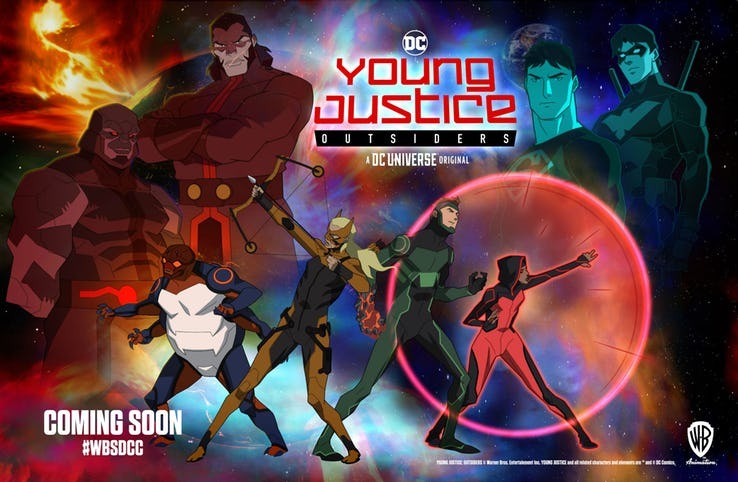 The long awaited third season, entitled Young Justice: Outsiders, will follow the events that played out in 2013 which concluded with the death of Wally West, a.k.a. Kid Flash, and the ominous looming threat of DC Comics villain Darkseid and the Legion of Doom. Returning to the series will be the team members fans know and love including Nightwing, Artemis, Superboy, Aqualad, Blue Beetle, Ms. Martian, and Impulse (now Kid Flash), as well as plenty of new characters and cameos from members of the Justice League. This weekend’s San Diego Comic Con saw the release of the first full trailer for the upcoming third season of Young Justice, which is two years after the 2016 announcement that the series would be revived. The trailer wisely details the events of the series’ second season, considering it’s been over 5 years since the series was cancelled. That season dealt with the invasion of an alien race known as The Reach, who had close ties with team member Jaime Reyes/Blue Beetle. Check out the full trailer below and feel free to let us know what you think in the comments. 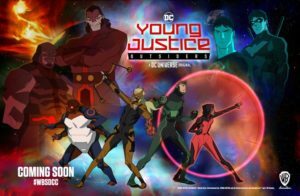 Once again, Young Justice: Outsiders will be available on the soon-to-be-released streaming service DC Universe available for pre-order now.